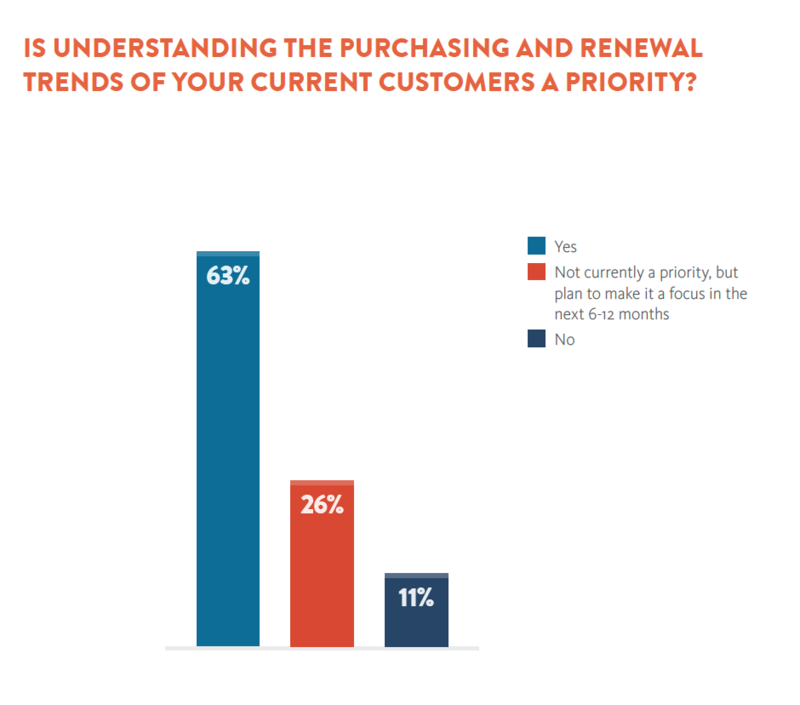 Is understanding the purchasing and renewal trends of your current customers a priority? We’re all in the business of growth. Many companies focus on achieving that growth through new customer acquisition. But those companies may be leaving a big opportunity for growth on the table. We recently partnered with Demand Gen Report to learn more. By engaging existing customers and monitoring their buying signals, marketers can build customer loyalty and drive additional sales. What’s more, facilitating current customers’ advocacy with prospective customers is an effective way to attract new business. However, many organizations are failing to market to existing customers, and thus are missing out on an important way to grow both their customer base and their sales. Just 17% of marketing teams say they own this stage. In many cases, the marketing teams are not focused on tactics that best support the organization’s stated goals. For instance, 63% of marketers say understanding customers’ purchasing and renewal trends is a top priority for their organization, and more than one third (34%) say engaging with existing customers is their highest priority. But just 27% of marketers say that creating up-sell, cross-sell and customer renewal programs is a priority for their companies. Nearly one quarter (22%) say they have difficulty determining customer up-sell or cross-sell paths, and 20% have no technology and/or strategy in place to help identify new or existing products that may fit current customers’ needs. Clearly, few marketers are actually “walking the walk” when it comes to maximizing every stage of the customer lifecycle.